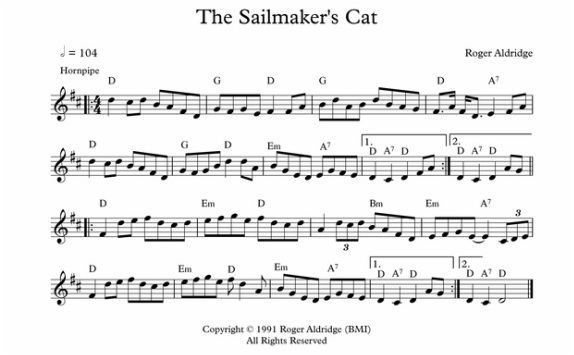 This hornpipe was inspired by a photo in the book Chesapeake: Portrait of the Bay Country, by James Warner and Margaret White, of a cat in a sailmaker's shop. The tune has a playful spirit -- like a cat with many things to explore in the shop. Note: the demo recording is a Sibelius midi of only the melody.